Schleich 70472 - Yamuna and her unicorn are best friends. They speak with each other in the secret tongue of the unicorns. 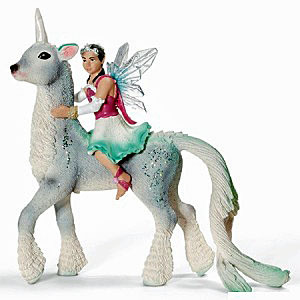 Yamuna received her beautiful unicorn as a present from her mother, Queen Suyana. While she is riding across the sunlit, snow-covered plains, the two of them glisten in the sun.